Spike TV has announced that Bar Rescue and Flip Men have new second season premiere dates. Both had been set to return on Sunday, July 22nd. Bar Rescue will return one week later, on July 29th, and Flip Men will be back on August 5th. Please be advised that the premiere dates for the two upcoming Spike TV original series “Bar Rescue” and “Flip Men” have changed. The second of Spike TV’s “Bar Rescue” will now debut on Sunday, July 29th with back-to-back new episodes at 9:00 PM and 10:00 PM, ET/PT. The second season of Spike TV’s “Flip Men” will now premiere on Sunday, August 5th, with back-to-back new episodes at 10:00PM and 10:30 PM, ET/PT. What do you think? Will you be tuning in for either of these TV series? 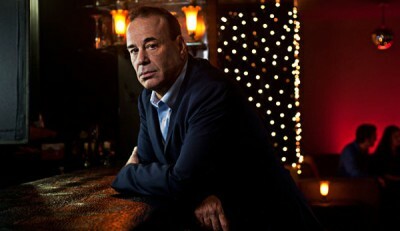 More about: Bar Rescue, Bar Rescue: canceled or renewed?, Flip Men, Flip Men: canceled or renewed? I love to watch Bar Rescue. I think that what John does in 5 days is amazing, He is a hard worker with great values and ethics. I wish there were more than 10 episodes. I want to if Direct TV will get Spike back otherwise I’ll miss them. I might just switch to Dish Network by then if it’s not back on. I like both shows and don’t want to miss them.